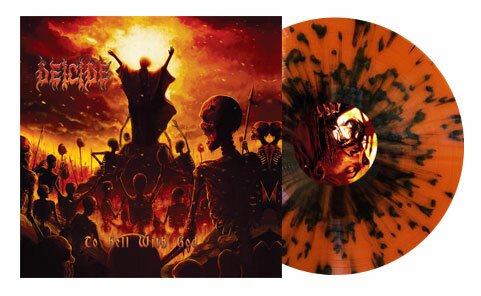 New vinyl from the legendary death metal titans! Deicide are amongst the first wave of death metal bands, alongside Florida natives Death, Obituary, and Morbid Angel. They remain one of the best selling death metal bands of the Soundscan era. Previously out of press and highly sought after on vinyl, look for the new pressing on fire splatter vinyl from Think Fast on November 25th, 2016. The album contains the original artwork, complete with a gatefold jacket, limited to 1000 copies. Under exclusive license from Century Media.